We provide Information Technology services to the healthcare industry. Our clients include Private & General Practices, as well as Hospitals. Radiology – Dental – Neurology – Dermatology + more. 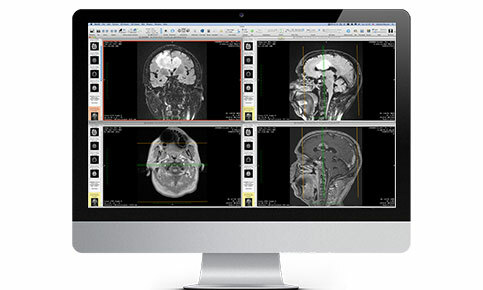 We develop innovative software solutions, including integration with existing Medical software packages. We use the latest technologies and have in-depth experience with common medical protocols. We have partnered with Jivescribe to provide outstanding transcription services to Australian medical practices. Jivescribe delivers accurate and timely transcription while ensuring the highest security and quality standards. Based in Sydney, since 2007 we have provided professional IT solutions and support to companies within Australia. Our strong team of dedicated, skilled IT professionals has allowed us to become a prominent provider of IT services to the healthcare sector. We serve as a provider of medical solutions including IT projects & support, software integration, PACS, RIS, PMS, remote reporting solutions, communications and medical reporting. We offer IT audits for your business. One of our technicians will meet with you onsite to discuss your requirements and carry out a review of your hardware, software and any other systems in place. We will then put forward recommendations on how to improve and maintain your IT systems. We offer flat-rate monthly plans for unlimited IT support. No surprises, easy financial forecasting, no fuss. We also offer pre-paid hourly packages to suit your needs. Please check out our pricing page for more information. Our experienced technicians are available for phone support and onsite consulting. IT projects? Maintenance? Upgrades? Give our helpdesk a call on +61 (2) 8287-7300 and we’ll happily help with your enquiry. Whether you’re a small private practice or a large operation, we cater to all. With such a huge reliance on computer systems, we are dedicated to keeping your healthcare business IT environment running as smoothly as possible. We work closely with our customers in providing IT outsourcing, support, project management, consulting and managed services. We understand not every business is the same and that any solution needs to be carefully evaluated. Our years of experience and expertise supporting the healthcare sector has exposed us to various complex medical software systems & equipment. This gives us an advantage over other IT companies as it allows us to quickly solve problems and implement reliable cost-effective solutions.